I’ve been daydreaming about how I’m going to accessorise my new Tolix chair. A chair of this magnitude requires careful consideration. This is generally because 1. it’s pretty iconic, and 2. it’s pretty iconic. Throw in the fact that it’s of industrial design and bright orange. Yes, this is going to require lots of careful thought. Initially, I thought about just plonking it in the corner with a stack of books sitting on it; which is a cool look but nope, it didn’t excite me. A cushion! It needs a statement cushion! But which one? What colour? And what design theme? Questions; so many questions! I generally buy my cushions straight off the High Street and there’s nothing wrong with that, but this cushion needs to be a bit special. So I decided to trawl the internet for vintage fabric. French vintage fabric to be precise. I’d like to honour this chair’s origins but soften its steel edges with something a little more refined. 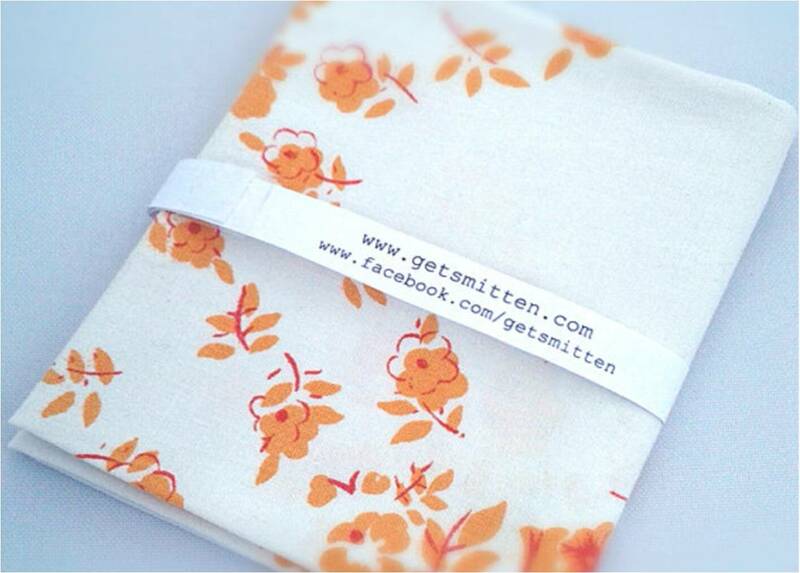 And I discovered that there are lots of websites and shops out there specialising in vintage fabric (including French). Result! The colour combinations of vintage French fabric are simply beautiful but trying to find a fabric that incorporated the colour orange was a little tricky. If you’re interested in having a look at what’s available I highly recommend etsy. You are sure to find something within your price range and style that will suit. After much ooohhhhhing and aaahhhhing I’ve opted for this very delicate floral in a simple orange and white colour palette. This is a 1960s vintage French fabric. How awesome is that?! It’s original; unique and has a little bit of history that ties in nicely with the equally historic Tolix. 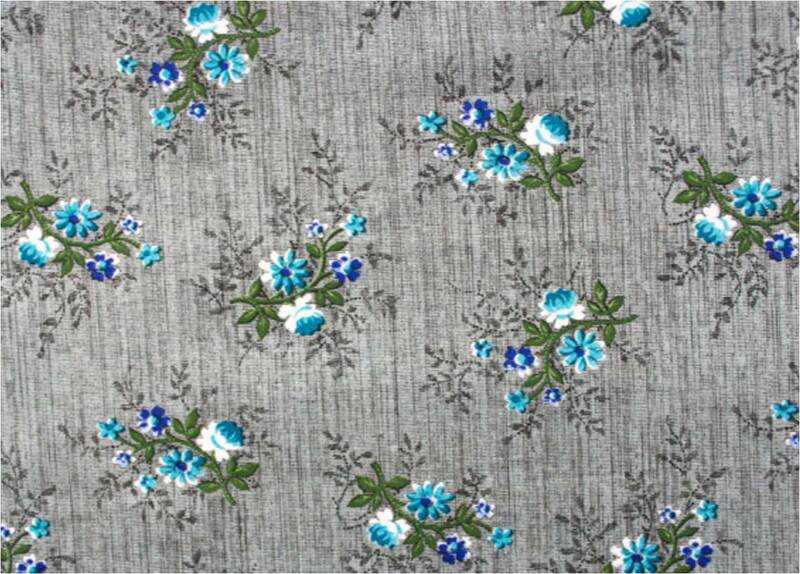 And I also purchased this gorgeous 1950s vintage floral fabric consisting of grey and vibrant blue. I’m not sure what I’m going to do with it yet but I had to have it; it’s simply too beautiful to ignore. Up until a year ago I foolishly laughed in the face of all things ‘vintage’, because of my limited knowledge and ignorance I always felt that vintage items were just old and boring and brought little value to an interior. I was wrong. Oh so wrong! If you like to stand out from the crowd and channel individuality whilst introducing character and unique qualities to an interior; then vintage is the way to do it. Hey Anita, loving these vintage fabrics, the first one will look great. Will you be making the cushion yourself? I have been working on cushions today for a customer & was thinking about how you would design the cushion for the Tolix chair! Haha thanks for thinking about me and my Tolix!! Unfortunately I’m crap at sewing so I’m going to have to ‘outsource’!! It’s pity you don’t live nearby; I’d definitely commission you for this work! !